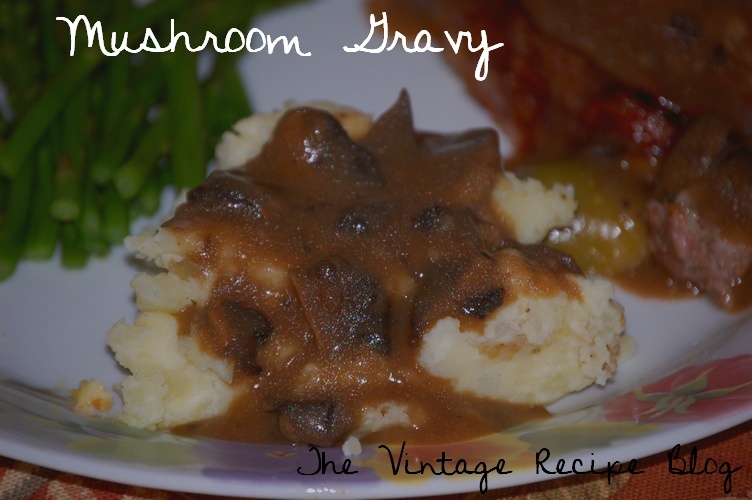 It may seem silly to post something as trivial as a mushroom gravy on here given all the more complicated recipes that I have talked about over the years, but you would be surprised how many cooks cannot make a simple sauce without resorting to something in a jar or worse, an envelope. It's really not that hard and this makes the perfect accompaniment to the Bacon Meat Roll With Olive Stuffing I wrote about the other day. You want to mix your beef broth/stock with double the amount of concentrate that it calls for and set aside. In a frying pan add a little oil and heat over medium high adding mushrooms when pan is hot. Sprinkle a little salt and saute mushrooms until wilted about 5 mins. Turn off heat and add stock, let sit until you are ready to make the sauce. When ready heat a saucepan over medium high and melt butter until it sizzles. Add flour and whisk continually until the flour has browned slightly. Add reserved mushroom and beef stock mixture and whisk until thickened. Remove from heat and serve immediately. Good for 6 servings if over meat, 3 if mashed potatoes are served with the meat.